Today we feature two recent papers by group members Sergi Valverde and Ricard Solé. In “Before the Endless Forms: Embodied Model of Transition from Single Cells to Aggregates to Ecosystem Engineering”, a 2013 PLoS ONE article, our colleagues begin a journey to research the role of physical embodiment in evolution and development. 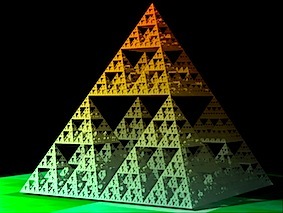 They implemented a huge tool, CHIMERA, to simulate evolution constrained by actual physical laws, yet following very simple and intuitive principles. These constrains are the inception of realistic competition and selection, and they introduce a sense of genotype-phenotype mapping in the simulating environment. This (rather simplistic) mapping intends to play a more important role in future versions of the software. Because there will be further versions: this journey of physically embodied evolution will be long and is full of thrilling scientific questions ranging from morphogenesis to the origins of multicellularity and a seek for universals in large scale evolution. This last point is made clear in the related review paper: “Macroevolution in silico: scales, constraints and universals” published in Paleontology this year. In this paper CHIMERA is confronted with some sources from where it draws inspiration such as Tierra or Avida, good old classics in the field of artificial life. The relevance of a more realistic embodiment is once more highlighted when CHIMERA is put in a historic perspective. We leave you with a taste of what is possible in CHIMERA. Evolution is remarkable in finding tricky ways to goals that we would not expect. In the following video we see how it proceeds from the predesigned cell-level evolution to an unexpected ecology engineering stage with an emerging trophic hierarchy. Students from the first promotion of Synthetic Biology course after the practice of the Belousov-Zhabotinsky reaction.. This course is imparted within the biomedical engineering degree at the UPF.The students compared their own computacional simulations using netlogo done the previous day with the experiment in which front waves and spatial patterns ocurrs in real time. They are performing their own blog explaining how to do an experimental and computational observation of the BZ reactions. As a report of the practice the students have created a blog describing their own experience Soon we will link some of these blogs. This practice is an excellent example of how to combine simple experiments and mathematical models in training at undergraduate level. Today starts the cycle of conferences (Re)volució hosted by the Institut de Biologia Evolutiva at the PRBB, the house of this CSLab. This series of talks intends to popularize the most novel advances in Evolutionary Biology. It is clear how evolutionary and systems biology is pushing the frontiers of knowledge in amazing, unexpected ways. Our understanding and harnessing of synthetic biology — the focus of this lab — represents outstanding opportunities and brings up ethical and philosophical challenges. Conveying the latest advances to a more general public is necessary to have a healthy debate about the science of the next years. Our group leader Ricard Solé will open this cycle of conferences today. (Here for a website in Catalan.) His talk is precisely titled ‘Synthetic lives: at the frontiers of evolution and philosophy’ and will be held at 6:00 pm at the PRBB. If you happen to be in Barcelona, be welcome to these talks and join the discussion about such thrilling research topics! 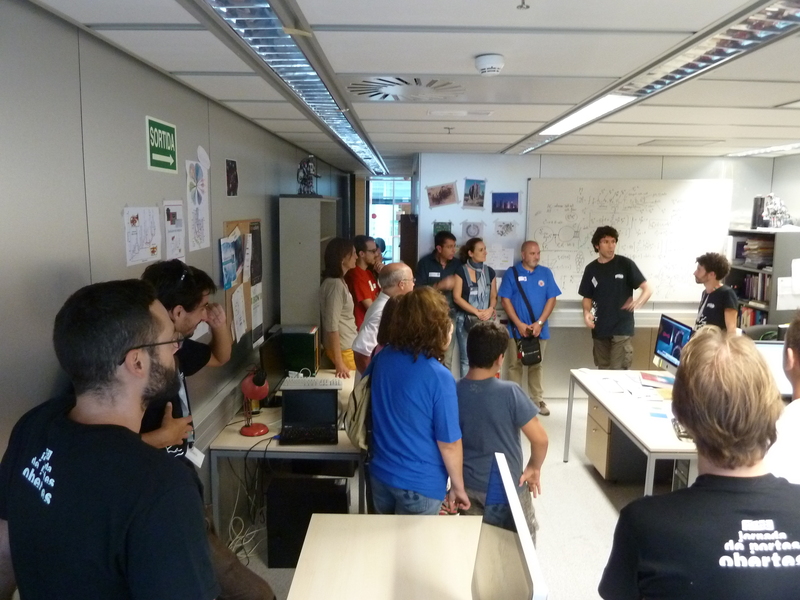 Here you can see some photos about our participation in the PRBB open day!!! It was a very gratifying experience. Thanks Dani, Raul, Max, Adriano, Ben, Luiño, Salva and Carlos for showing the lab, Sergi for movies preparation about Chimera project and the very interesting Ricard’s talk. 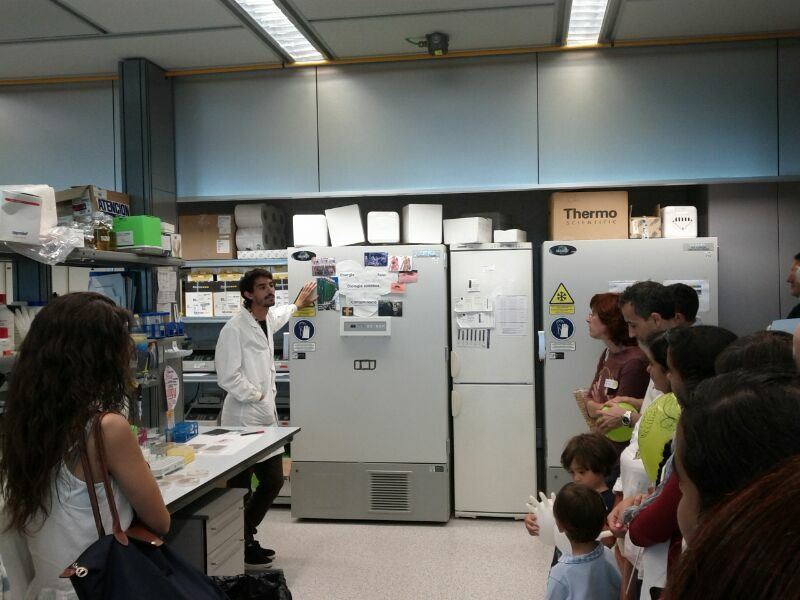 Showing our science to the people interested in visiting us and about our little contribution talking about technological and biological evolution and the role and the impact of synthetic biology in our society. 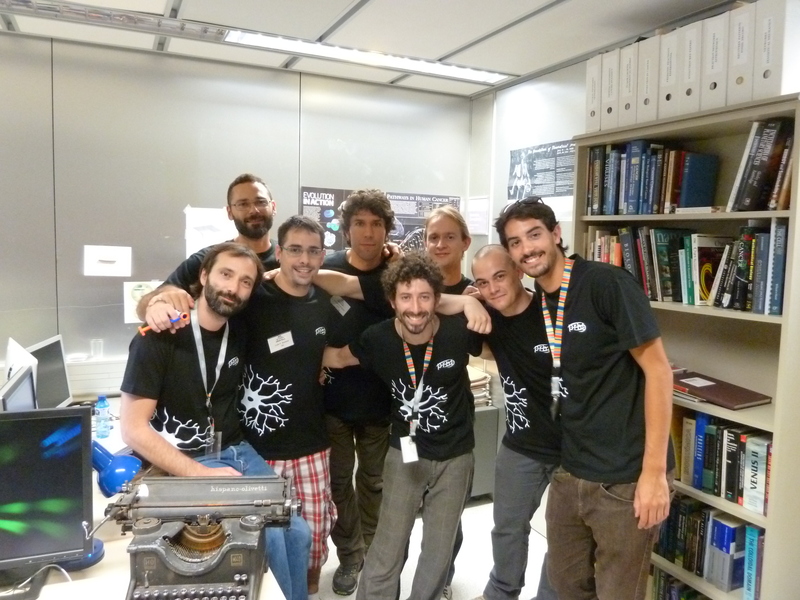 Thank to all the members of the group and all the volunteers of the PRBB who has made possible this day. How must I study to work in a place like this? Explaining Synthetic Biology at the Complex Systems WetLab. 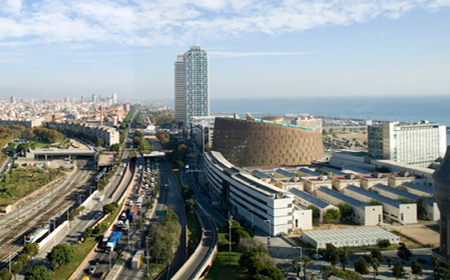 This saturday 5th the PRBB will open its doors from 10 am to 7 pm in the sixth edition of the open day. Scientists and PRBB staff will dedicate the day, completely voluntarily, to explain what we do, how we do it and where we do it. 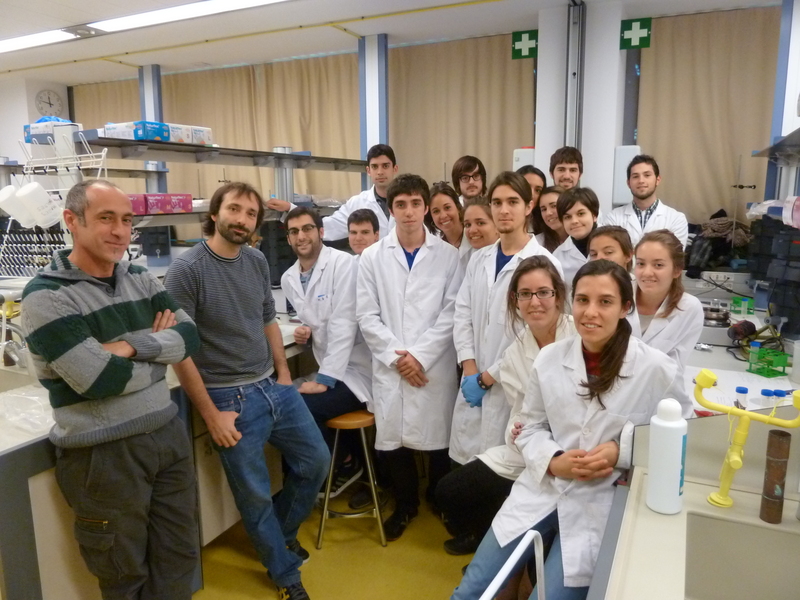 We will play with science, talk about the projects we are working on, and show you our laboratories and the equipment we use. The Complex Systems lab will contribute to explain how we try to understand how evolution and innovation works in natural and artificial systems. 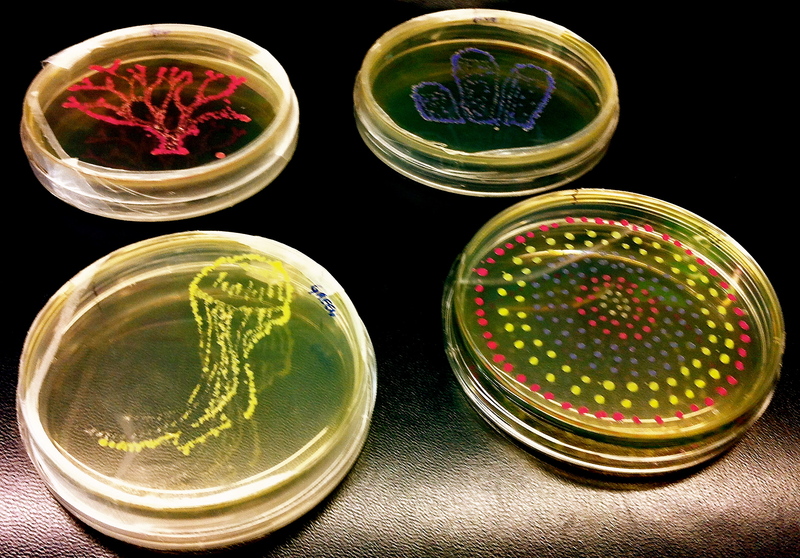 And how synthetic biology can help to understand the principles of organization of living beings. Come and see how science works in a very singular building!! On Monday 16, Carlos Rodríguez-Caso will open the CSL activities giving a talk titled Are Complex Networks Really Hierarchical? The Actual And The Possible Of Network Organisation about his very recent PNAS article that we covered in a recent post. The article is coauthored by Bernat Corominas and Joaquín Goñi who will also be attending the conference, and by Ricard Solé. On the same day, Luís F. Seoane will be presenting his poster titled Analytic Solution of a Model of Language Competition with Bilingualism and Interlinguistic Similarity. The poster features a recent paper just accepted in Physica D and coauthored by Seoane and colleages from the University of Santiago de Compostela (USC) María Victoria Otero-Espinar, Juan Jose Nieto, and Jorge Mira. On Wednesday 18 it is time for Sergi Valverde that will be talking in the satellite conference Quantifying Success. He will be giving a talk titled Evolution of Patent Citation Networks about ongoing work and in close relation with previous papers of his like this one coauthored with the CSL leader Ricard Solé, and with Mark A. Bedau, and Norman Packard. Sergi also provides us with a nice review on the ecology of technological innovations, a collaboration with Ricard Sole, Marti Rosas-Casals, Stuart Kauffman, Doyne Farmer and Niles Eldredge. About satellite events, on Thursday 19 it is Luís F. Seoane’s turn again, now to present his poster Images from the Mind: a BCI Application Based on RSVP of Polygon Primitives, a work coauthored by S. Gabler and B. Blankertz from the Technische Universität Berlin. The presentation is framed within the Young Research Network in Complex Systems. And the same author (Seoane) closes the CSL participation on this edition of the ECCS on Friday 20, with his talk Predicting The Evolution Of Heterogeneous Language Contact Situations: The Case Of Galician-Spanish Bilingualism, a work coauthored with Jorge Mira, María do Carme Parafita, Håkan Casares, and Henrique Monteagudo. We hope to see you around, that you enjoy our contributions, and that you participate and help construct the critic ideal of science during the following week, that promises to be thrilling! Are you yourself participating in the ECCS? What are your contributions? We would not like to miss it!